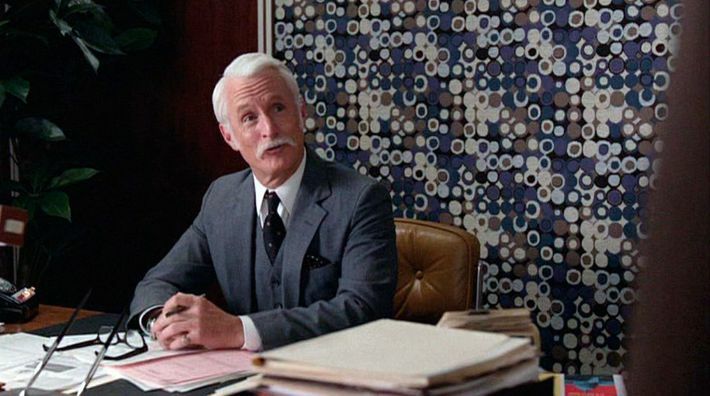 Can We Examine Roger Sterling’s New Mustache for a Minute? 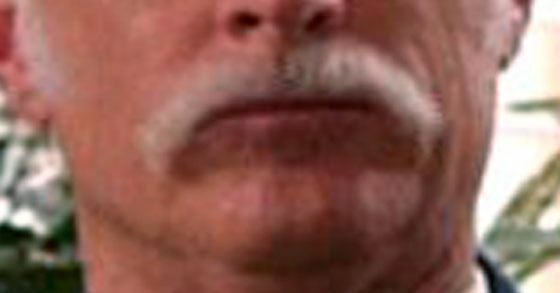 Damn, that’s a good ‘stache. The ‘70s are here, in case you haven’t noticed. Thanks, Roger’s new mustache, for giving us such an exact place and time to work with. Like the hero he is, John Slattery won’t reveal whether Roger’s mustache is authentic. As he told Vulture: “I’m not gonna tell you whether the mustache is real or fake. Then it becomes a ‘thing.’ But I like that mustache. I wasn’t sure I was going to, but I think it’s really funny actually. It’s just another in a long line of attempts by Roger to reinvent himself.” You know what, Slattery? It is a thing. Resplendent. 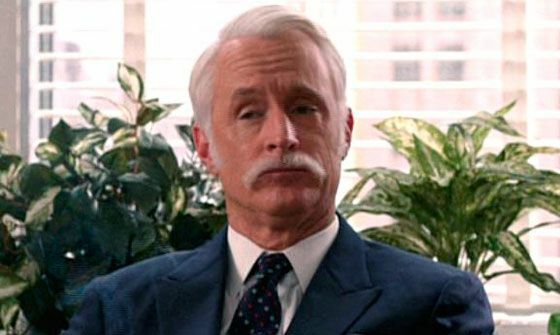 The word you're looking for to describe Roger Sterling's mustache is "resplendent." Roger's mustache will unquestionably be the first thing from this season to go viral. Zoom in on that turquoise cuff and ring set for me? 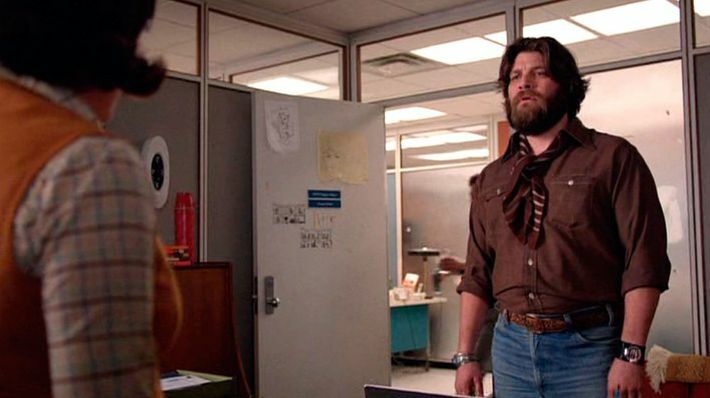 The ‘70s are treating our Mad Men pretty well, it seems.